GWS® provides an overview of the regional and local wind situation und facilitates making informed decisions on wind energy relevant topics. 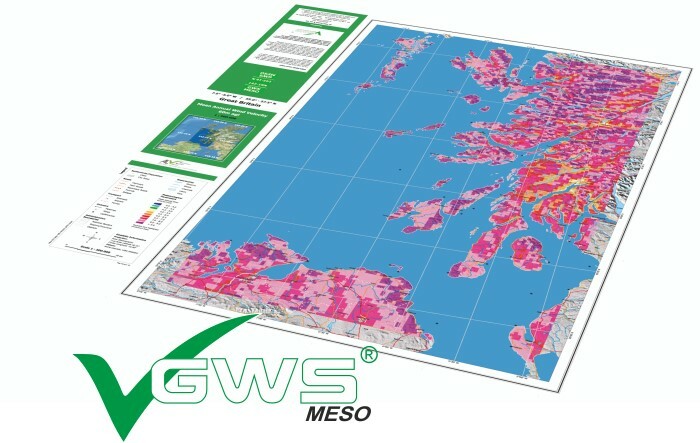 GWS® MESO provides regional wind resource maps at a grid resolution of 2 x 2 km. The maps are computed using a mesoscale model. 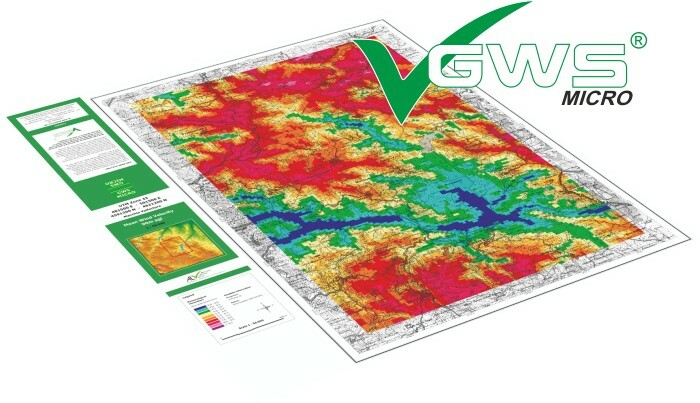 GWS® MICRO provides localized wind resource mapping at a grid resolution of 200 x 200 m for areas up to 30 x 30 km. The maps are based on the GWS® MESO results and refined using a microscale, 3D CFD flow model. GWS® wind map products show the wind resources at 60 and 120 m a.g.l. (wind resources at 50 – 150 m can also be computed). By request, GWS® MICRO models can also be computed for whole federal states or regions and provided in digital form (e.g. ESRI shapefiles). 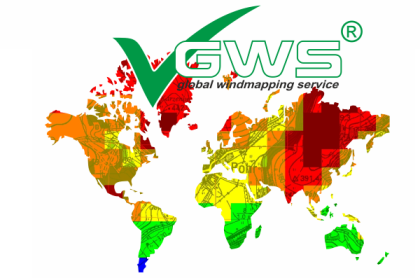 GWS® wind map products are available for most of the world in hard copy and/or digital form. GWS® offers wind resource data at an affordable price – bulk orders are eligible for discounts up to 15%. Thus, GWS® provides a cost effective strategic approach to developing wind energy. An inexpensive source of wind data if you focus on selected locations. 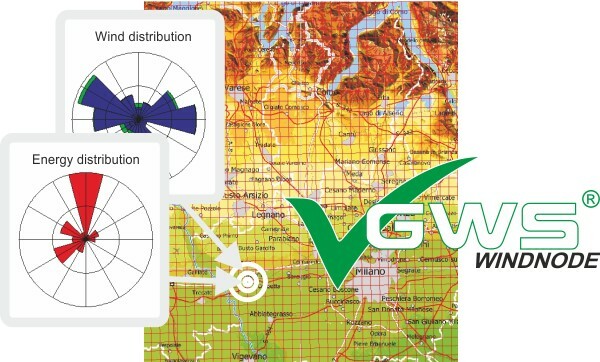 GWS® MICRO windmapping model inputs can be reused for further AL-PRO certified or accredited wind reports thus reducing the time and cost of final wind reports. GWS® WINDNODE und WINDDATA provides direct access to information of individual rastercells of the GWS database. 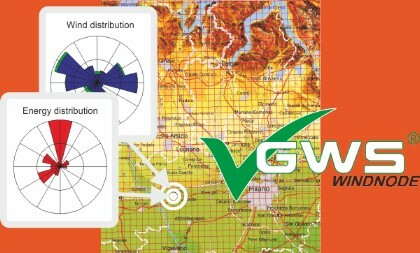 GWS® WINDNODE provides sectorwise mean annual wind velocity and wind power density values, Weibull parameters, wind velocity and wind power density distributions in form of a digital pdf report. GWS® DATA provides digital meso-scale input data for wind flow simulations, using standard formats.